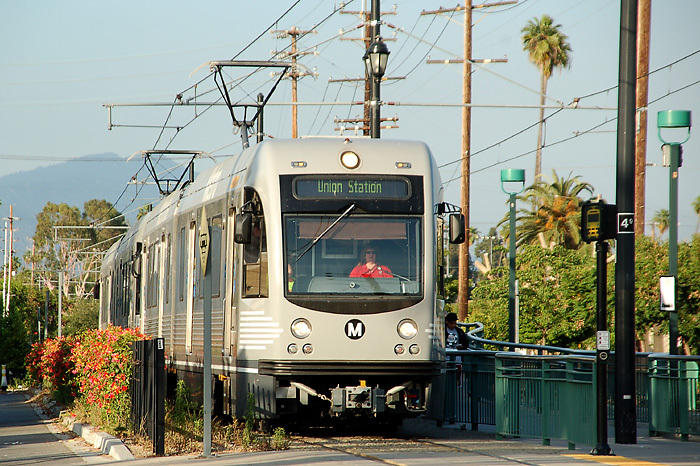 The Los Angeles urban rail system after the extension of the Expo Line to Culver City. Note: The two or three-character codes used to identify routes below and in the maps are for convenience only, and were not used by the operating company. Purple line (alone): 1.8 km. Red line (alone): 17.4 km. Purple / Red common line: 6.2 km. Light rail: 14 July 1990 - today. Streetcars (Los Angeles Railway): 1067 mm. Interurbans (Pacific Electric): 1435 mm. The Orange Empire Railway Museum in Perris, southeast of Riverside, owns and operates a large collection of vintage Pacific Electric and Los Angeles Railway streetcars over 0.8km dual-gauge and 2.4km standard gauge track. Simons, V. "LA Light Rail on the move", Tramways & Urban Transit, May 2017 (80: 953), p.172-175. Simons, V. "Los Angeles: Gone but not forgotten", Tramways & Urban Transit, Feb. 2010 (73: 866), p.76-77. Simons, V. "Los Angeles: Light rail to the Beach - and beyond", Tramways & Urban Transit, Aug. 2016 (79: 944), p.295-300. Simons, V. "Los Angeles - The transformation continues", Tramways & Urban Transit, Dec. 2009 (72: 864), p.460-463. Simons, V. "Update from Los Angeles", Tramways & Urban Transit, May 2013 (76: 905), p.175. Skelsey, G. "Hill Street Blues" [The Pacific Electric Railway (PE)], Modern Tramway & Light Rail Transit, Aug. 1988 (51: 608), p.263-269. Smith, G.E. "Los Angeles - The S route", The Modern Tramway, Oct. 1961 (24: 286), p.295-298. Wansbeek, C.J. 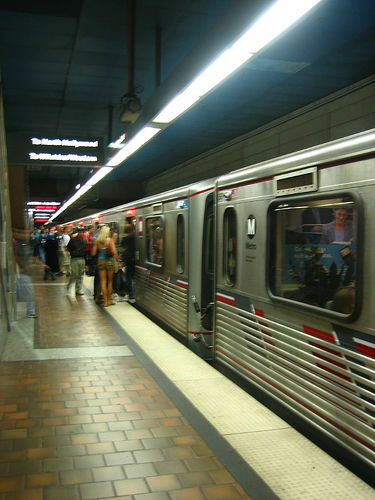 "Los Angeles - Megacity needs more light rail", Tramways & Urban Transit, May 2007 (70: 833), p.172-176. Wansbeek, C.J. "Los Angeles - New light rail line brings gold to Pasadena", Tramways & Urban Transit, June 2007 (70: 834), p.217-219. Wansbeek, C.J. 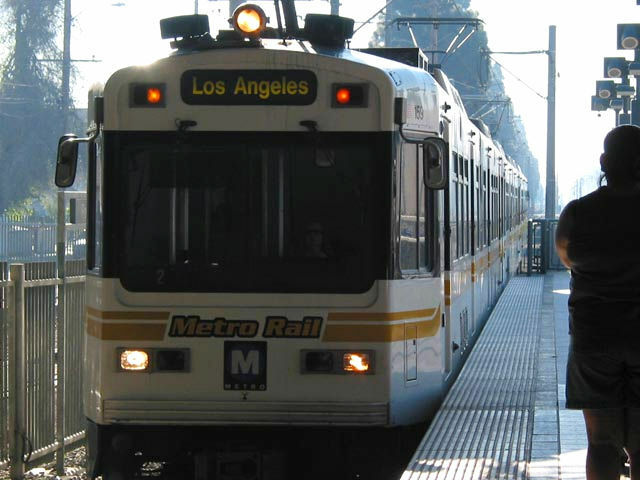 "Los Angeles - Metrolink: Successful urban rail", Tramways & Urban Transit, July 2007 (70: 835), p.258-261.